Fishing with Gus! Embroidered Hat - Fishing with Gus! 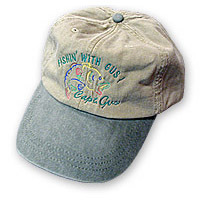 Now you can own a “Fishing with Gus!” hat — just like the one worn by Gus!